Anyone can sell products – but Almi has the ingredients for your success. Whether we are talking seasoning blends, sauces or marinades – Almi has been a successful, reliable partner for the international food industry for more than eight decades. Come and see for yourself our latest innovations and products at the Agroprodmash in Moscow and let us show you how we come up with individual solutions, based on expertise acquired over many years. Visit us at the Agroprodmash from 5 – 9 October 2015! Our experts from Almi and Matimex are looking forward to welcoming you at stand IE50-68 in Pavilion 1. At the 10th of september Almi inivited his staff and families for a big celebration. On a sunny day estimated 750 people celebrated „10 years Almi in Oftering“ in a big marquee. Lot’s of great entertainment were offered like bull riding, box climbing and cow milking, even for the kids a own tent and a big bouncing castle was provided. In the later afternoon the guests were provided with a whole fully-grilled ox, grilled chicken and gnocchi. Thereafter Mr. Alexander Mittermayr held a speech to the audience and thanked the staff for the good work which was done the past years. Also an amazing LIVE-band played good music and led to even some dance acts. 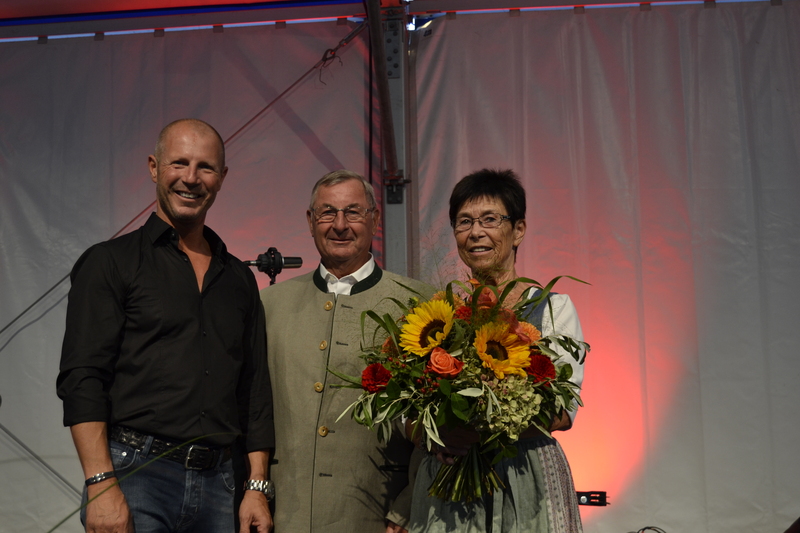 We would like to thank all participants, who helped, attendet and enjoyed that very special day with us. Everybody offers products. Almi offers secure solution. IFFA in Frankfurt am Main is the international leading fair for meat processing and the most important innovation platform for the industry. The top fair trade topics in the meat industry of this year focused on security: products must be safely and hygienically prepared so that the health of consumers is not endanger.. This subject also Almi adopted to: For over eight decades, we are a reliable partner of the international food industry. Almi ensures safe food production. Market conformer taste, timely delivery and absolute reliability in all quality criteria are not just a promise for us. These are the factors that require the success of our customers and the factors on which you can rely on. Visit us from 7th to 12th May 2016 at the trade fair IFFA in Frankfurt and experience uncompromising quality in the spice production. Our experts are look forward to welcome you in hall 4, booth E21! Due to extraordinary achievements, the Almi GmbH was recognized in November 2017 with the Austrian national coat of arms. 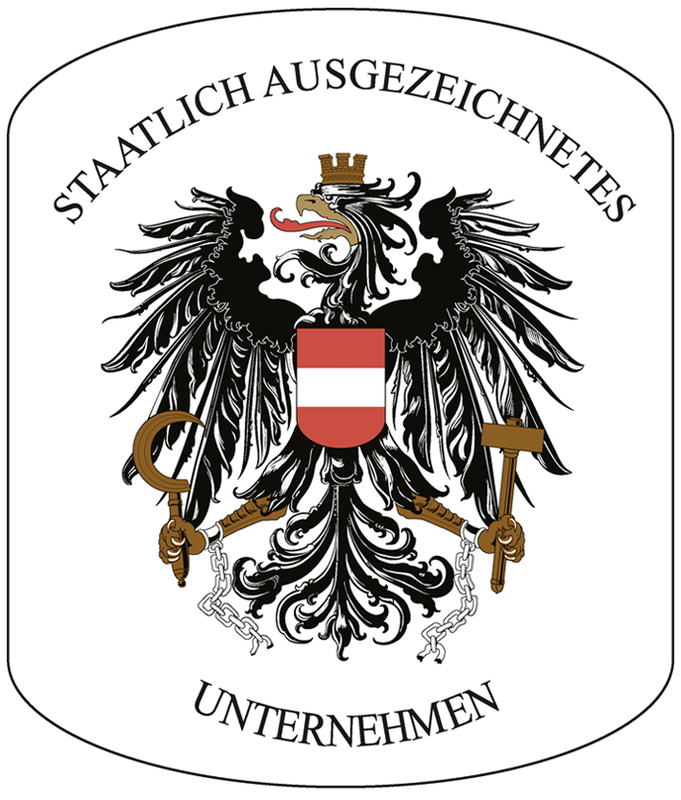 The Federal Ministry of Science, Research and Economy honored Almi with this high distinction and is now one of only 0.5% companies in Austria with federal coat of arms. Since mid-2017, the company NATURAL POWER from Leonding may call itself a member of the Almi Group. 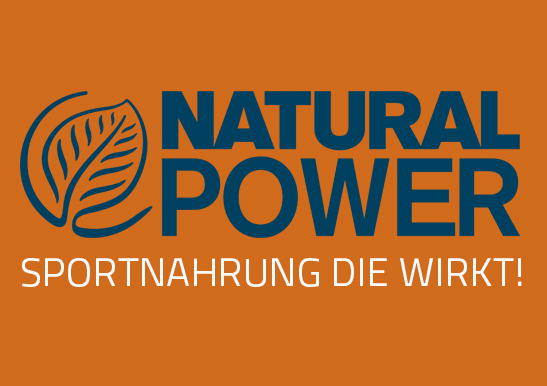 NATURAL POWER develops, produces and distributes high quality dietary supplements for sports and vitality. Already in the selection of used raw materials begin strict quality guidelines, cheap raw materials are guaranteed not used! These and many other quality features make Natural Power one of the most strictly controlled sports nutrition on the market. Almi is now available on facebook! 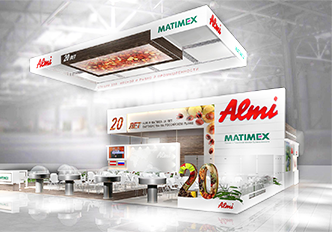 Almi will inform you about upcoming events & exhibitions, new products and other useful information! You are welcome to like & share our content and participate on our facebook site! The Seoul Food – established in 1983 – is the fourth largest food industry exhibiton in Asia with many global exhibitors and visitors. At this year’s Seoul Food in Korea, which took place from 16 to 19 May 2017, Almi was also in the exhibitor list. 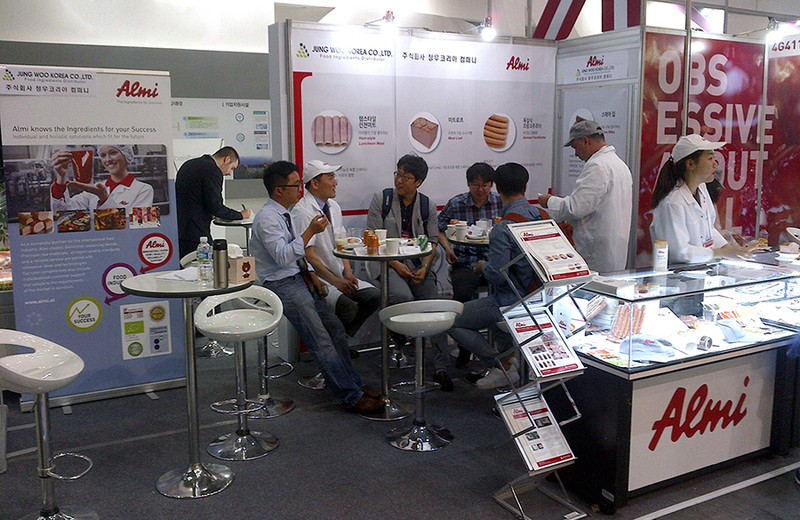 Together with our distributor Jung Woo Korea Co. LTD, which we have been working in Korea, we have been able to show many Korean as well as global visitors the latest technologies from Almi in the areas salami, healthy chicken sausage, meat loaf, steak bars and cooked ham. The combination of finished products made in Korea together with Almi compounds was very popular. We received great feedback and had a lot of interesting conversations with our customers regarding Almi products and technologies. Almi would like to thank you all and we are looking forward to meet you in a next occasion in Korea or somewhere else in the world! 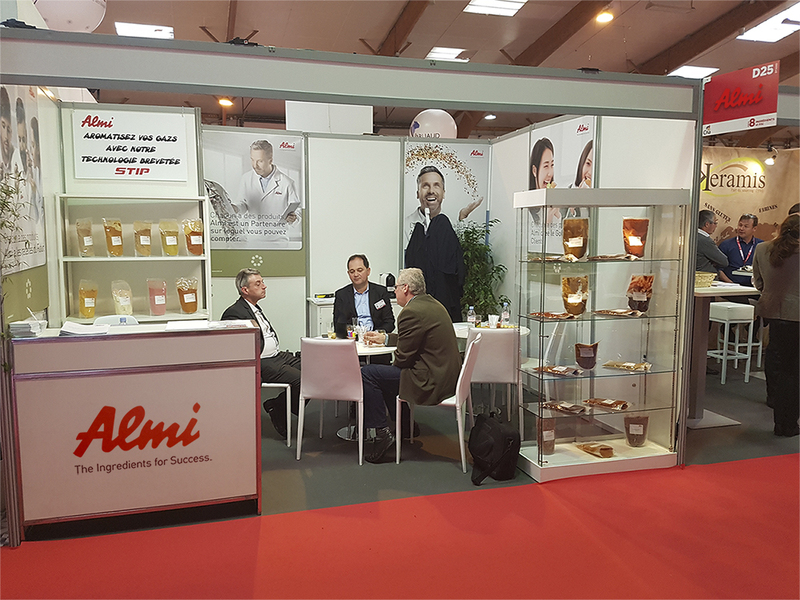 For 2 years now, Almi has been a successful represent with an own booth at the Cfia trade fair in Rennes. Many customers and potential buyers, especially from Western Europe, also from the countries of North Africa, visited us at this three-day food trade exhibition in early March. We presented new products and had the opportunity to inform potential customers about our progressive technologies and our product innovations. The mutual exchange of information is important to Almi in order to continually adapt and further optimize country-specific needs. Individual customer consulting, verified to the respective market, is one of our most important competencies. At this year’s fair the special interests had been our various marinades (Piment Espelette, Grand Veneur, Marchand de Vin, …) and our BIO spice blends. Beside new brines for meat- and fish processing industry, we presented also some specific types of sausages. As a pioneer with a high degree of innovation, we not only shape trends but also are always one-step ahead them. We are looking forward to the Cfia 2018! 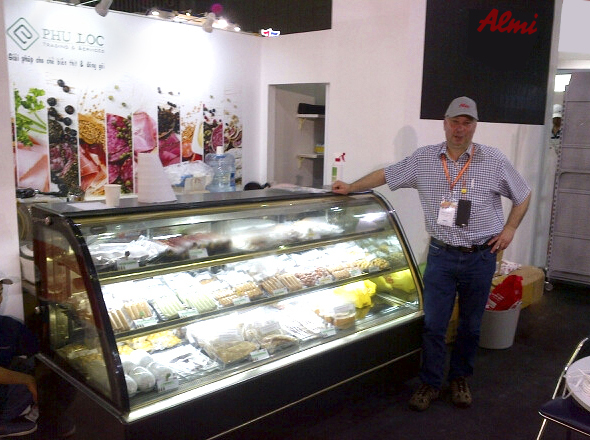 Almi attended Pro Pak exhibition in Ho Chi Minh City and introduced new products to the vietnamese market. With big interest numerous visitors got informed about new product innovations and Almi’s developments in creating a better food quality. 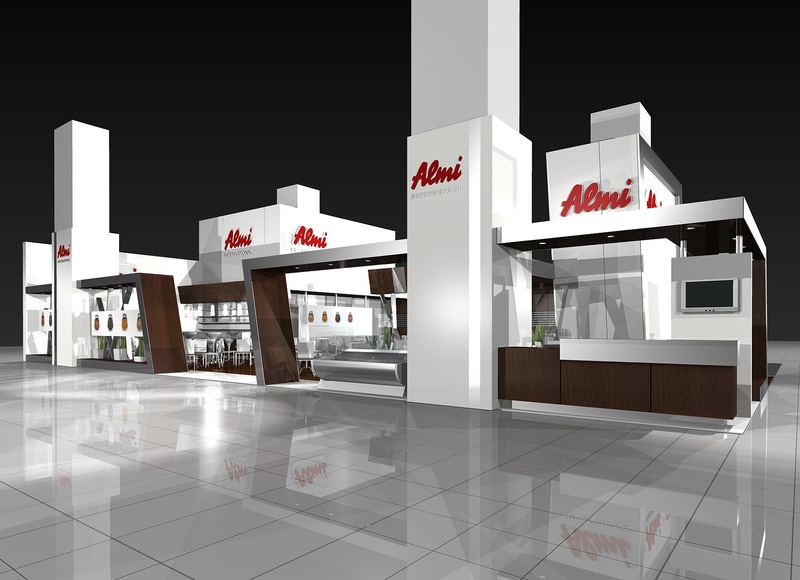 Almi showed innovative technologies where quality, taste and healthy products are affordable. Also Almi‘s master butcher Willhelm was there for training sessions, technological support and advise. With our local partner company Phu Loc many brandnew products were displayed. We would like to thank every participant and prospective buyer for the useful support and feedback. Almi always uses high quality raw materials and takes care of comprehensive controls. So Almi perennially keeps an eye of current processing techniques on the market. 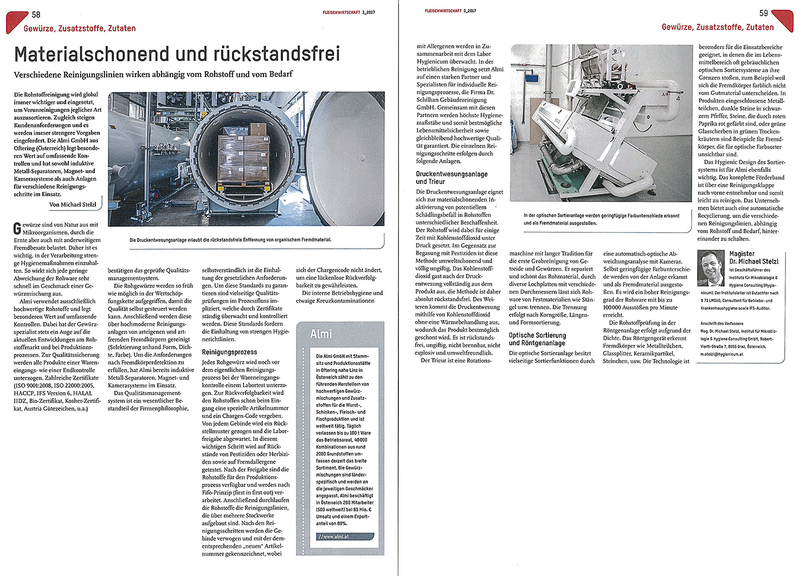 For this reason the german trade journal „Die Fleischwirtschaft“ reported on a double page about this subject regarding Almi’s cleaning process. This very detailed report is about handling and cleaning raw materials, about internal infrastructure in this part of the company and contents an explaination of the professional cleaning process. For the second time, the annual RSPO audit took place at Almi GmbH. 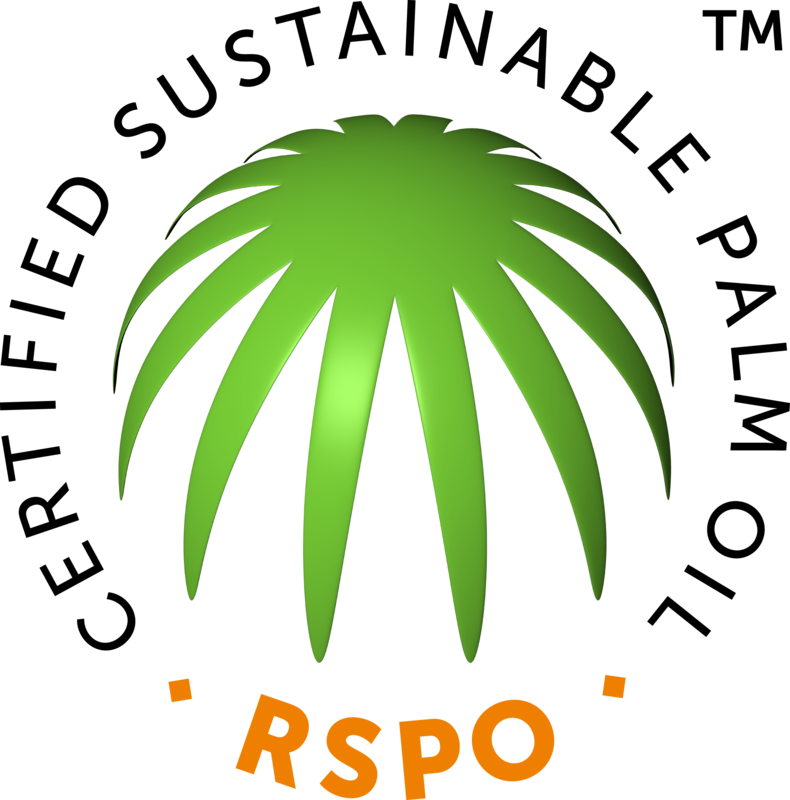 Once again, Almi meets all requirements without complications and remains a certified RSPO company. As a member of RSPO, Almi is particularly interested in supporting sustainable palm oil production. A careful handling of the existing global resources is Almi’s contribution and underlines the entrepreneurial, ecological footprint. In addition to the positive RSPO conclusion, compliance with the EU BIO Regulation and the GMO-free requirements were also renewed in accordance with the Austrian Food Codex. In the course of the auditing, the BIO requirements as well as the GMO-freedom (genetically modified organisms) were checked unannounced. Again, no grounds for complaint were found, indicating that Almi stands for a continuous quality standard. Almi has been showing forward-looking action for years now that it does not have to contradict economic processes and sustained commitment. Constant reflection and improvement are contributions to act ecologically efficient. Would you like more informations about our company and our products? you in our mailing list and send you our newsletter! By entering my e-mail address and clicking on the „Register“ button, I declare that I am in agreement that Almi GmbH will regularly send me information by e-mail. I can revoke my consent to Almi GmbH at any time.